Daytona USA, one of the highest grossing arcade games of all time, is long overdue for a sequel and Sega is delivering. 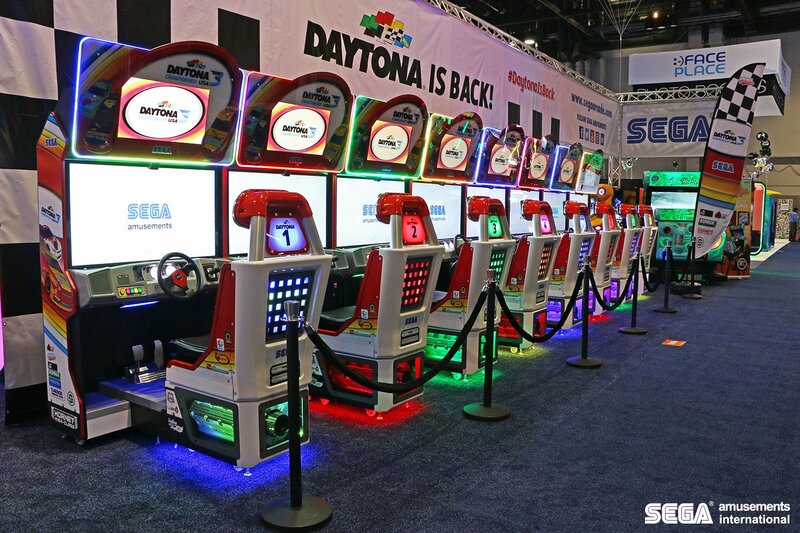 Sega at the annual International Association of Amusement Parks and Attractions event in Orlando, Florida, has on display the latest game in the long-running (yet dormant for a while now) Daytona USA franchise. Daytona 3 Championship USA (that’s a bit of a clunky name, no?) will serve as an arcade-only, direct sequel to 1998’s Daytona USA 2. As VG247 notes, the game will feature three new tracks – one of which is based on the recently renovated Daytona International Speedway – as well as faithful recreations of the original game’s racetracks. Handling and in-game physics should feel familiar to franchise vets as the new game is based on the original Daytona USA engine. Each cabinet will feature a 47-inch display and supports linking with up to eight total cabinets for true head-to-head multiplayer. Cabinets also have a camera that faces the driver and pumps the feed to the video billboard above each arcade cabinet. The original Daytona USA arcade cabinet touched down in North America way back in 1994. In addition to the breathtaking graphics, wicked soundtrack and the fact that you played the game with a steering wheel (with force feedback), pedals and even a fully functional shifter for use when opting for a manual transmission, the fact that cabinets could be linked together for local multiplayer was icing on the cake. It wasn’t uncommon to see owners prominently position the game at or near the front of their arcades in hopes of luring in unsuspecting kids and even adults.